Wait… Thirsties makes an overnight cloth diaper?! Why haven’t I heard of this?! If that’s what you’re thinking, you can relax. You didn’t miss out on a new product release. 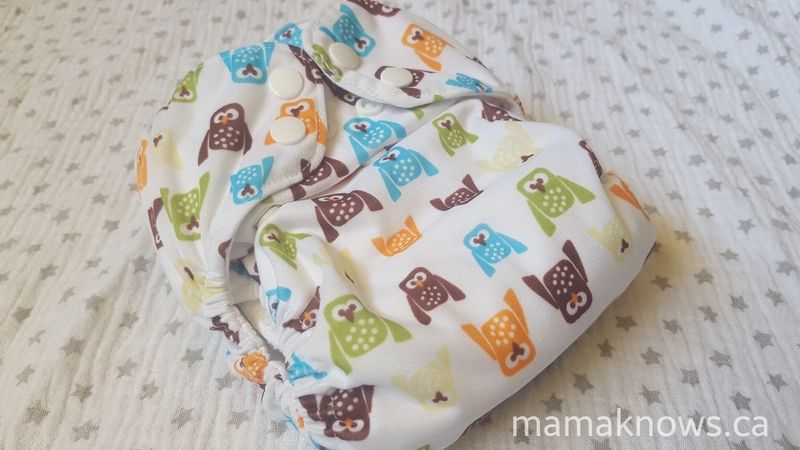 Thirsties hasn’t specifically made an overnight cloth diaper (at least not yet), BUT… I have successfully been using a simple twist on their Natural All In One for overnight and I want to share it with the world. If you love the Thirsties brand, then you want to check this out. 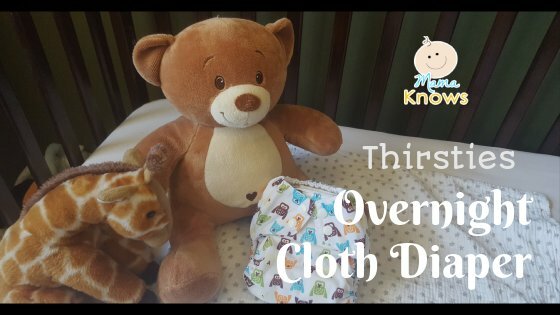 Here’s my overnight cloth diaper solution, using only 2 Thirsties products. This post contains affiliate links. You can read more about how these links work on this post here. Thank you for supporting my blog when you shop with these links at no additional cost to you. I absolutely love my Thirsties Natural All in One (NAIO) diapers. They were the first diaper ever on Littlest’s bum the day he was born and he has since graduated to One Size. I reviewed the NAIO earlier this year, so be sure to check that review out. Sadly though, they really don’t hold up overnight for us on their own. My son is a moderate to heavy wetter (heavy when he nurses overnight, moderate otherwise), and despite the above average absorbency of the hemp jersey and the high quality TPU, my son leaks through them overnight. But the fit on these NAIO’s is just so good on Littlest that I was determined to make them work for us overnight. I have a lot of other Thirsties products, in addition to the NAIO, and so I tried a few things like Fab Doublers and Small Hemp inserts as boosters- but they left me unsatisfied. Then I tried something that actually worked really well! It added overnight absorbency AND gave my baby stay-dry cozy skin all night long. You guessed it, I added a Large (size 2) Stay-Dry Duo Insert. Why are the Stay-Dry Duos such a great choice for an overnight booster? The first insert of this two-insert system is made of two layers of fast absorbing microfiber terry and is topped with a stay-dry microfleece that leaves your baby’s skin soft and dry all night long. This provides a counter-measure for “flooders”- babies that pee so fast the hemp can’t absorb quickly enough and the pee leaks out the sides. Microfiber absorbs much quicker and then soaks into the hemp underneath. The second insert, which you snap to the underside of the microfiber insert, has 5 layers of 55% hemp/45% organic cotton jersey and gives a good absorbency boost to your existing hemp/jersey layers inside the NAIO. Hemp is a very absorbent fiber, and a favourite in the cloth diaper world. All together you have the 11 layers of natural fabric from the NAIO (3 layers of cotton in the body of the diaper and 8 layers of hemp jersey from the attached inserts) with 5 more layers of hemp from the duo insert. That’s 16 layers of absorption PLUS the 2 layers of microfiber and single layer of microfleece. 19 overall layers between baby and the TPU. 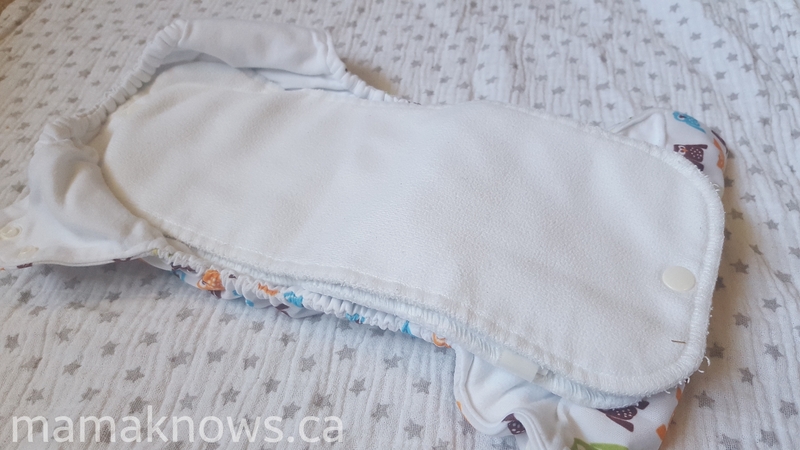 How does the NAIO/Duo compare to the Thirsties Natural Fitted Diaper? This has more layers. The natural fitted diaper has been promoted as an overnight solution, but for us it doesn’t stand up on its own. The Thirsties Natural One Size Fitted has 11 layers of bamboo cotton, but no hemp. As I mentioned, this NAIO/Duo has 19 total layers, including the stay-dry. Because I need to add a booster and stay-dry layer to our already-bulky fitteds, the NAIO/Duo ends up trimmer. This is our least bulky and most flexible overnight solution for my squirmy 8 month old. It fits under all our pajamas, and for nights when I know he’s nursed a lot and might need an extra layer of protection- I can throw a wool cover or wool pants over everything just in case. The NAIO/Duo is also way easier to get clean. Our fitteds have a lot of sewn-in layers that aren’t accessible to detergent and for some reason, they are the only diapers in my stash that hold stink. The attached, yet open-ended inserts on the NAIO and the snapped nature of the Duo means that this “NAIO/Duo” comes clean in the wash easier. I don’t even need to rinse the strong overnight pee out of them each morning before tossing them in the wetbag. Where can I get a NAIO/Duo? This is an affordable, easily obtainable overnight cloth diaper. You can buy a Natural All In One diaper in Newborn or One Size from Lagoon baby and pair it with a Size One or Size Two Stay-Dry Duo Insert from them as well. Combining these two items costs (in Canadian Dollars) $44 for one size and $34 for newborn. That puts them in the same (or even lower) price point as many overnight cloth diapers. We also use thirsties NAIO for overnight. We add 2 hemp organic cotton inserts. I love Thirsties hemp products. Do you find your little one does well without a stay dry layer? Or do you add some fleece on top? I will have to try adding the the Stay Dry MF insert to out NAIOs for daytime to see if it solves out current flooding & leaking in our NAIO now that LO is 16 mos. old. It really helps to re-read some of your posts as he ages as his diapering needs change!